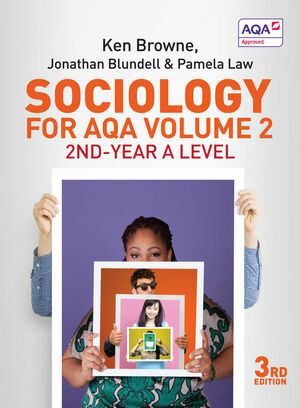 Sociology for AQA Volume 2: 2nd-Year A Level has been approved by AQA. Click here for the resources for Sociology for AQA Volume 1: AS & 1st-Year A Level. See also the accompanying revision guides: the essential revision guides for AS and A level Sociology from trusted and best-selling author Ken Browne. These indispensable books provide all you need to revise for the exams, with a clear topic-by-topic layout to recap key theories and central ideas, a guide to exam questions and sample worked answers showing how to achieve top marks.